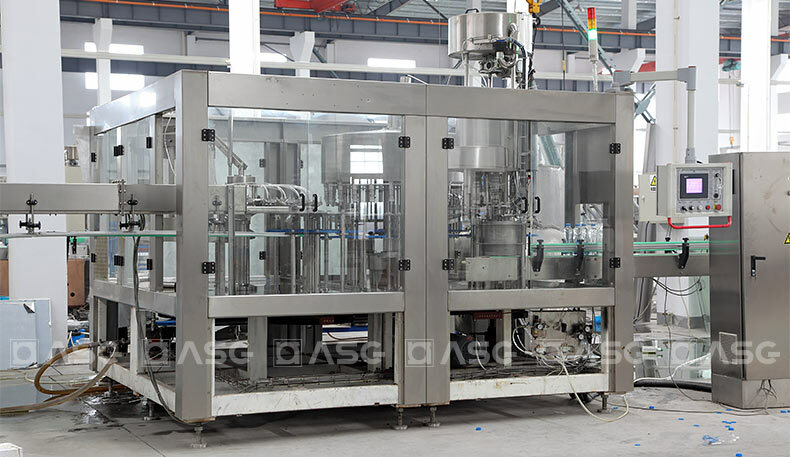 PET Glass bottle Water Rinser Filler Capper Filling Machine, our PET bottle water filling machine can be used to fill pure water, mineral water and drinking water. PET bottle sizes can range from 300ml to 1500ml. 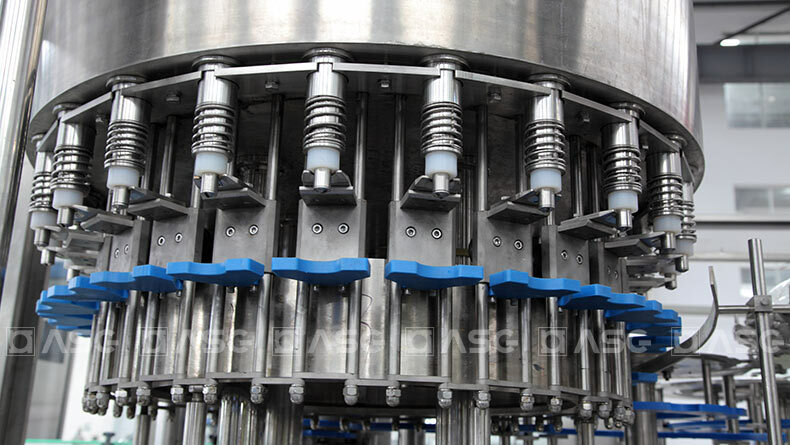 Water Filling Line Production Plant is one of advanced models which is our company combines international advanced self-filling process and technology developed specifically for mineral water, pure water and other non-gas beverage filling installation. 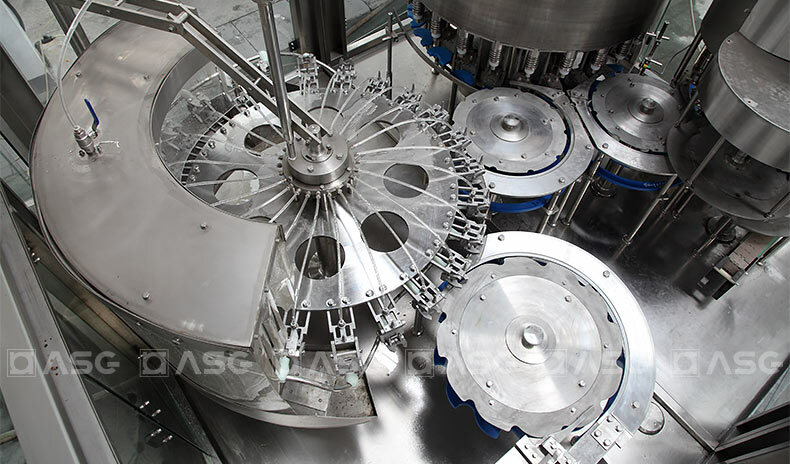 A series of water filling machines use high-precision pressure sensors and pressure transmitters to make the entire filling process more efficient and controllable. 1. 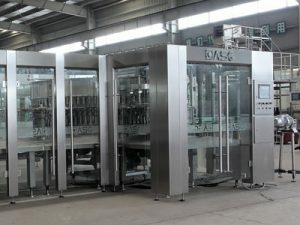 Direct connection technology between air conveyor and in-feeding starwheel is applied to replace in-feeding screw and conveying chain to ease bottle changing process with only to change few parts. Newly-designed bottle-separating grippers are assembled to starwheel. 3. 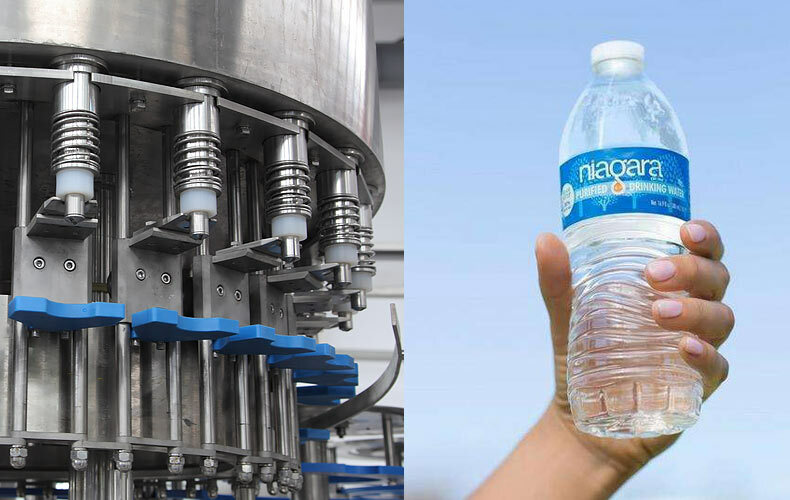 Specially-designed rinser grippers which are made of stainless steel are firm and endurable, with no contact to screw part of the bottle to prevent second pollution. 4. 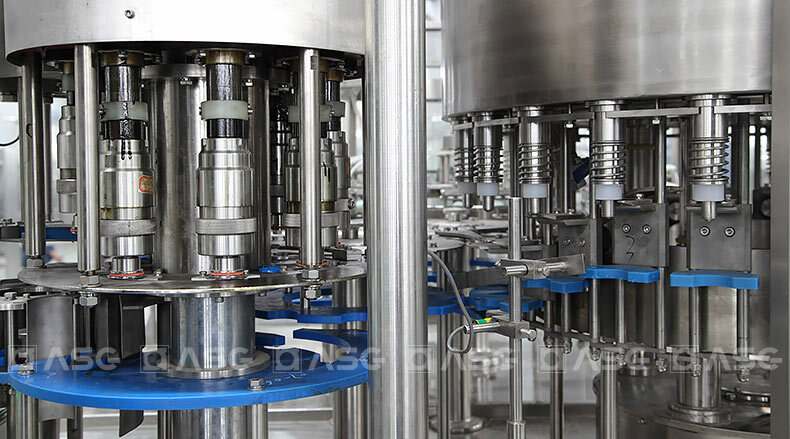 High-speed, easily-cleaned filling valves with big flow volume are equipped with well CIP system and control system to rinse the equipment thoroughly. 5. Splint of starwheel using twist descending way to simplify the process of bottle-size-changing. Only need to change arch board and starwheel, within ten minutes.